Today it's all about babies, baby girls to be specific and of course good food! Yudith from Blissfully Delicious and I are hosting a virtual baby shower for our good friend Ally over at Ally's Sweet and Savory Eats. Ally is due with her third baby any day now and it's girl #2 for her family. We are all so happy and excited for her, and it's with great pleasure that I introduce you to some amazing Iowa food and lifestyle bloggers that helped in planning this little party! 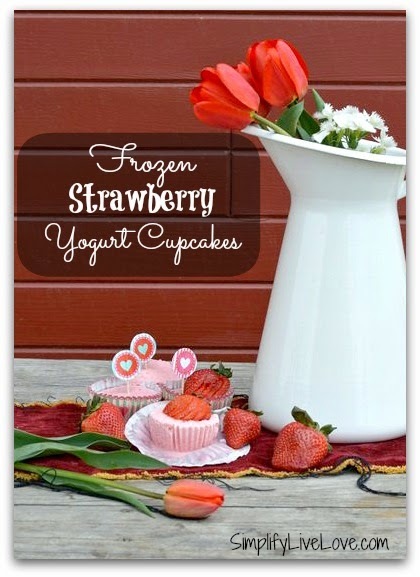 Michelle from Simplify, Live, Love is starting us off with these gorgeous looking strawberry yogurt cupcakes. Michelle lives in the same town as Ally, where her family is building their own passive house. It's an awesome story and I think you'll love following along their journey too. It won't be long before strawberry season is here in Iowa, what a perfect summer treat these cupcakes would be! 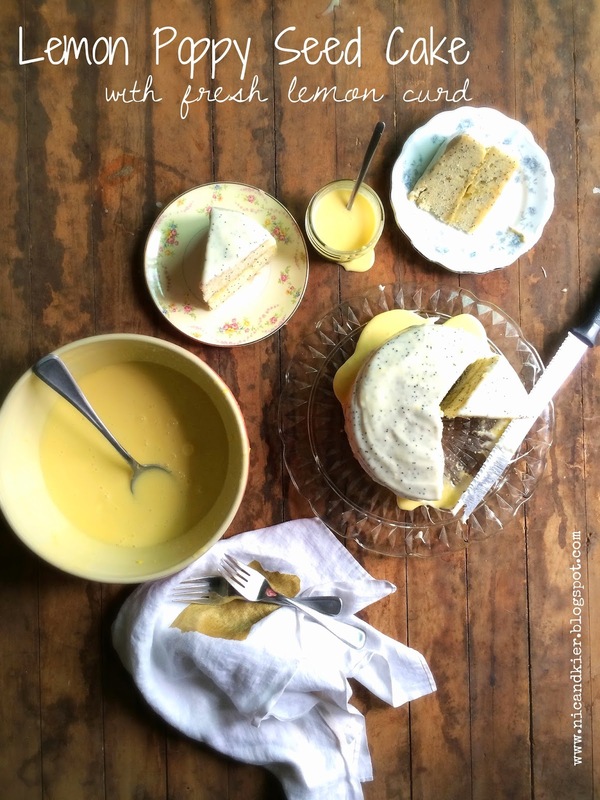 Kierstan of Life in Iowa brings us this beautiful Lemon Poppy Seed Cake with Fresh Lemon Curd. I had the privilege of meeting Kierstan back in November at our Iowa Blogger Meet-up, she's quite the amazing baker and has a fabulous dream of opening her own bakery some day. You'll definitely want to make this cake. Finally, I have brought a rich, decadent chocolate cake to the party. I first made this over a year ago for my godmother's birthday. It reminds me of a cake that my own grandma would make growing up, unfortunately I never got the recipe from her but I think it's pretty darn close. I especially love the fluffy marshmallow frosting, it compliments the cake quite well. Now it's time for you to head over to Blissfully Delicious and see what everyone else brought to the party! I think we've definitely got Ally's cravings covered here today. Lightly spray grease two 6x2-inch round cake pans and set aside. Preheat oven to 350 degrees. In a large bowl cream together butter and both sugars until light and fluffy. Add in eggs and beat in well. Mix in the vanilla. Reduce speed to low and mix in melted chocolate. In another bowl, whisk together flour, cocoa powder, baking soda, baking powder and salt. Once the chocolate is fully incorporated, gradually add in dry ingredients to the cream mixture, alternating with buttermilk. You should start and end with the dry ingredients. Batter will be thick at this point. Slowly add in boiling water, then fold in chocolate chips. Divide batter between the two prepared pans. Bake for 35-40 minutes or until a toothpick inserted in middle comes out clean. Remove from oven and let cool for at least 15 minutes before trying to remove from pans. When cakes have cooled completely, using a serrated knife and a gentle swaying motion, carefully remove the top crown of each cake. Then again using same technique, slice cakes in half. Set aside until ready to assemble. To make frosting: Add egg whites to a dry mixer bowl. Make sure to have a candy thermometer close by. Put sugar, cream of tartar and water in a small saucepan, stir to combine. Bring mixture to a boil over medium heat, cover pan and let boil for 3 minutes. Uncover and continue to let boil until syrup reaches 242 degrees on the candy thermometer. While syrup is cooking, start beating the egg whites. Once the thermometer reaches 235 degrees, start beating egg whites on medium speed with the whisk attachment. Once egg whites form stiff, shiny peaks reduce speed to low, slowly pour in the hot syrup, making sure to pour in between the beater and side of the bowl. Don't worry if you get splatters on the sides of the bowl, just keep going. Add in vanilla and keep beating whites at a medium speed until they cool to room temperature, about 5 minutes. You'll then have a smooth, shiny, marshmallow frosting. To assemble cake: Place bottom layer of cake onto a prepared cake board or platter. Using a long spatula, cover the layer generously with frosting. Top with a second layer of cake, again add more frosting. Repeat with a third layer of cake. Finish with the final fourth layer of cake. Frost sides and top of cake, don't worry about getting the frosting completely smooth. Crumble the top crowns of cake that you set aside from earlier. Cover the entire cake with the chocolate cake crumbs, pressing gently into the filling and using your fingers. Cover cake loosely and chill in fridge for at least one hour or overnight if you have time. Thank you so much Steph! I'm drooling as I type:) You ladies have outdone yourself! Thank you Michelle, it was a lot of fun! Ha Val! That's exactly what I was thinking!